Welcome to the Month of Questions 172! While the following story is not from the Bahá’i Faith, it always reminds me of ‘Abdu’l-Baha. Unfortunately I can’t find the author, to give credit. I hope you enjoy it as much as I do! “I want you to know that I have not always looked like this. It took the process of pain to bring me to this point. You see, there was a time when I was just clay and the master came and he pounded me and he squeezed me and he kneaded me and I screamed: “STOP THAT”. But he just smiled and he said, “Not yet”. And the master was looking at me and he was smiling, as he said, “Not yet”. Then he took me and walked toward the oven and he shut the door and turned up the heat and I could see him through the window of the oven and it was getting hotter and hotter and I thought, “He’s going to burn me to death”. And I started pounding on the inside of the oven and I said “Master, let me out, let me out, let me out”, and I could see that he was smiling as he said “Not yet”. Then he opened the door and I was fresh and free and he took me out of the oven and he put me on the table and then he got some paint and a paintbrush. And he started dabbing me and making swirls all over me and I started to gag and I said: “Master, stop it … stop it … stop it please … you’re making me gag” and he just smiled as he said “Not yet”. Then very gently he picked me up again and he started walking toward the oven and I said, “Master, NO! Not again, pleeeeease”. He opened the oven door and he slipped me inside and he shut the door and this time he turned the heat up twice as hot as before and I thought. “He’s going to kill me”, and I looked through the window of the oven and I started to pound saying, “Master … Master, please let me out … please let me out … let me out… let me out”. And I could see that he was smiling, but I also noticed a tear trickle down his cheek as I watched him mouth the words. A one-hour documentary for MTV, ‘Life Continued: Defeating Depression’ aims to empower viewers who are facing emotional struggles to reach out and get help. The special profiles two courageous millennials who suffer with depression and suicidal thoughts, but are back from the brink and living life to the fullest. Sarah Virginia Sparkes has battled body image issues since childhood and anorexia since her pre-teen years. She is working with a counselor to live a healthy and happy life. Devin Price, a college athlete in Indiana, has struggled with depression since high school. Prior to filming, he came out of the closet to his friends and now worries whether or not they will accept him. Both Sarah and Devin hope that by sharing their stories, they will help others living with depression. The Jed Foundation partnered with SoulPancake on ‘Life Continued,’ which aired on World Mental Health Day. The documentary has won both an Image and Prism Award. Personal tests can either draw people towards God, or push them away. Sometimes all it takes is a little nudge one way or another to make the difference. With so many people facing severe personal, financial and health challenges, it is more important than ever that we make sure that the nudge is in the right direction. This book has already helped thousands of people discover the hidden gifts behind the tests they are facing. Why Me explains in a simple, profound and often humorous way, why a kind and loving God will give us tests in order to help us develop our full spiritual potential. Starting with the metaphor of a gardener pruning a rose bush, it goes on to explain the four kinds of tests, the role of emotions in identifying tests, and the spiritual tools we can use to pass tests with flying colors. It is selling like there is no tomorrow everywhere from Australia to England. Non-Baha’i friends tell me that they have read it multiple times, and therapists recommend it to their clients. This book is a holistic approach to happiness, health, wealth, and manifesting your best life. The concepts and practices that you learn here build upon experience and knowledge that you already have, but may not have fully recognized yet. So, you are already primed and ready to succeed. Diana facilitates an awakening to physical, mental and emotional wellness through dialogue with the Higher Self without detailed disclosure or years of talk-therapy. Inner Spirit therapy proves that recovery does not have to be a long, painful and expensive process. It is highly effective at triggering natural emotional, physical, and mental wellness by tapping our inmost strength, truth, and wisdom — that part of us that we think of as the ‘True Self’. This relaxing technique will help you to create real and lasting improvement in all the ways that you approach life. A recent Master’s Thesis revealed that Inner Spirit Therapy reduces depression, anxiety and stress levels by 50-100%. 87% percent of Study participants reported normal levels of depression, anxiety and stress upon completion of therapy. I’d like to introduce you to Dr. Benjamin Koen, author of one of this month’s featured books. A number of years ago, I was within a couple of months of leaving for a pioneer post in Xiamen, China, and was unable to go due to health problems. Fast forward a few years later, when I met Benjamin and learned that he and his family were pioneering to (guess where?). Xiamen! It was as if Baha’u’llah was showing me that someone was able to go in my stead! I’ve followed his career with interest, and was happy to hear he’d launched his business Sound Health International. 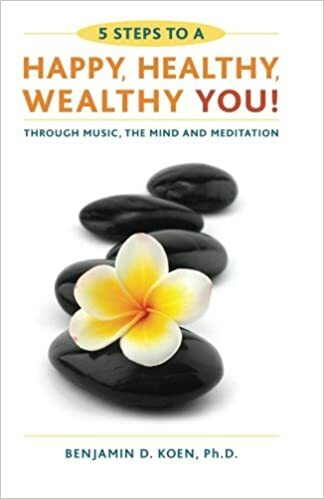 Benjamin is a critically acclaimed musician, author, speaker, researcher, educator, life transformation and wellness coach, and music-sound healer. He provides experiences, education, training, and products to help you improve your life in the areas of Body, Mind, Spirit, Emotions, and Relationships. He uses a holistic approach to health, wellbeing, helping you to create your ideal life. His programs are based on cutting-edge research with thought leaders, visionaries, scientists, physicians, doctors, healers, artists, musicians, and people of capacity and valuable experience to educate and inspire people to improve their lives and the lives of those around them. One of my favorite products of his, is the CD “Songs From Green Mountain”, a collection of meditative music with sung and spoken prayers and texts from the Bahá´í Writings. It features the end-blown bamboo flute called the xiao (pictured above) as well as the cedarwood flute, quena (Peruvian wooden flute), bansuri (Bamboo flute of India), tenor and soprano saxophones, bass clarinet, rain sticks (from Brazil and Chile), Taoist meditation bowls from China, Tibetan cymbals, African wooden chimes, wind caller, Mexican frame drum, djembe (African drum), voice, low multiphonic voice, streams, waterfalls and rain–all recorded live. Carol and I had a chuckle this morning when I received the article from a friend in South Africa, who got it from a friend in Singapore who got it from the Thai Baha’i listserve who got it from your blog. Isn’t modern communication wonderful!